CoQ10 50 mg / 60 softgels - Nature's Way®. 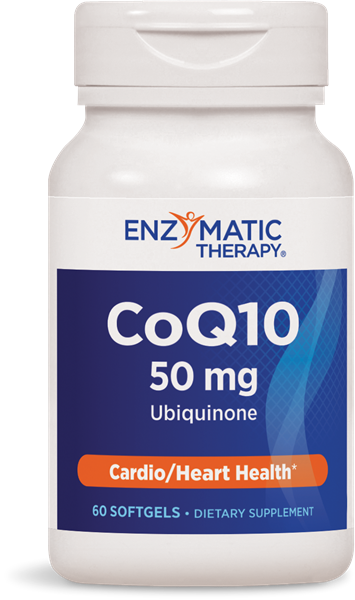 CoQ10 contains the form of coenzyme Q10. CoQ10 is produced through a biological fermentation/extraction process and is identical to the form produced in the human body. Coenzyme Q10 can also be synthesized by a chemical process, which yields a similar, but distinctly different chemical structure than that found in the natural form. The bioavailability of synthetic CoQ10 has not been confirmed.